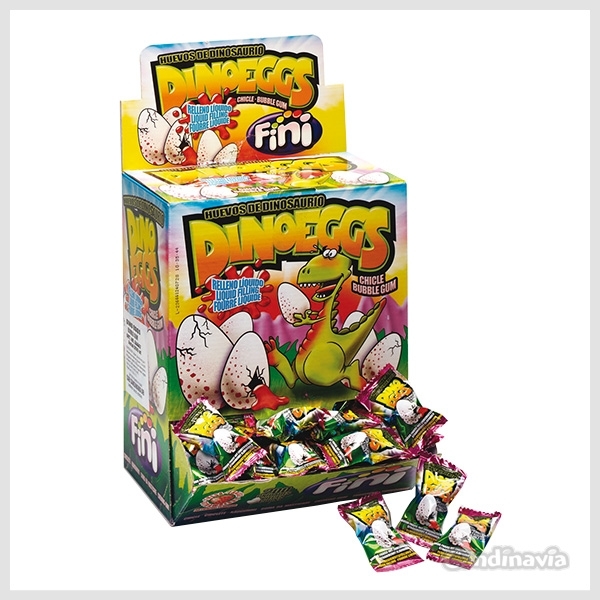 Funny bubble gum with dino egg form and strawberry liquid filled. Wrapped individually. Box of 200 pieces.